I've got no need to watch a 40 minute video made by youtuber who uses exaggerated outrage to gain clicks. Yeah I'm sure many of the complaints are valid ones but they are being blown way out of proportion and the internet hate train is just soaking it all up. Occasional glitchy things like t-posed or distorted enemies are rare in my experience are more amusing to me than game breaking. I have encountered zero game breaking glitches so far and I've been playing since the day the game launched and every day since. Oh yeah, and a lot of those glitchy things I have seen have been getting fixed and more fixes are on the way. If you've played the game and found it unplayable or simply watched some angry videos and made up your mind already...that's fine, you do you. I'm still playing the game though and having lots of fun. I hope you all are having lots of fun too. Well, he is playing a character.. he isn't actually angry. But to date, his review is the most detailed one out there. He covers all the glitches, bugs, gameplay mechanic flaws, aswell as.. the broken promises. Sticking your head in the sand, doesn't magically turn this turd of a video game into a diamond. Don't get me wrong, i am an avid Fallout fan (F3 is my favorite) and a die hard Bethesda fanboy, myself. I call them idiots because they're just running around and not stopping to actually USE anything they pickup. Heck Rob broke his gun at one point because he didn't repair it, OR pick up a replacement from one of the many Scorched he killed. Then what they do pickup gets lost when they die because they never go back to retrieve it. Also they're low-level characters running towards the edge of the map. That's pretty much a recipe for getting killed repeatedly. You're going to have to give actual examples, because vague generalities are meaningless fluff. Seriously, I gave an example of something that a youtube commenter claimed to be a "buggy broken quest" when the reality was that he simply wasn't paying attention to what he was doing. I'm not going to give a generalization that ALL the negative reviews are based on fundamental mis-understandings of how the game works. Quite frankly I've not bothered to watch most of them simply because they make it clear from the title of the video that it's not a fair review. Agreed, I'm not saying it doesn't have bugs. But it's a fun, playable game even with the bugs. This sounded like a reasonable post until you said "turd". Since none of what you said actually supports that conclusion. Since you claim to have actually watch that 40 minute video, I'm sure you can give us all a summary of each of the points of discussion and why these issues are severe enough to warrant calling the game a "turd". but that is what everybody does at E3, this isn't even the first time Todd has done it at E3. It doesn't make it right but honestly that is something I've come to expect and so took everything he was talking about with a grain of salt from the get go. Also I didn't watch most of it at the time..so the sense of betrayal people seem to be feeling hasn't appeared to have effected me. He also complained that the game was dreadfully boring and the quests were uninteresting. I disagree... but that is more a matter of personal taste than anything. There are going to be private servers, and on those the person running the private server can install mods. That is what I've heard at least. As for players fixing bugs, who knows, maybe Bethesda will fix all a great majority of the bugs before players have to. 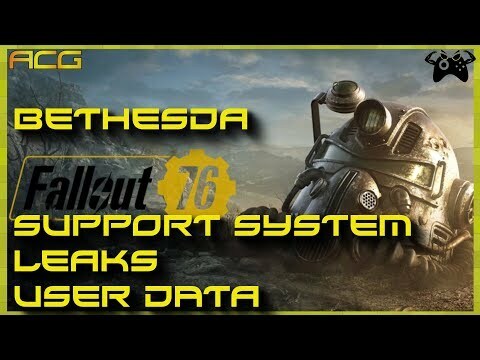 Fallout 76 is after all one of the least dense games in terms of content since they removed a ton of what's usually in the game making the task of debugging it much simpler this time around. and then a scorchbeast swoops in and roasts me alive with whatever it is they do...nuclear sonic screams or something. Good times. There is lots of that in Fallout 76. Or Gary..... So many Garys…. 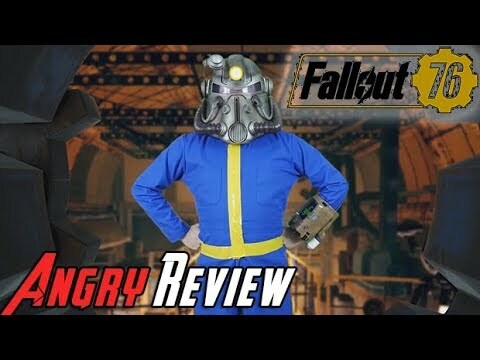 And when you explore Vault-Tec University, and the Test Vault beneath it, you begin to understand the depth of the depravity Vault-Tec was capable of (especially when you read the Dean's terminal). 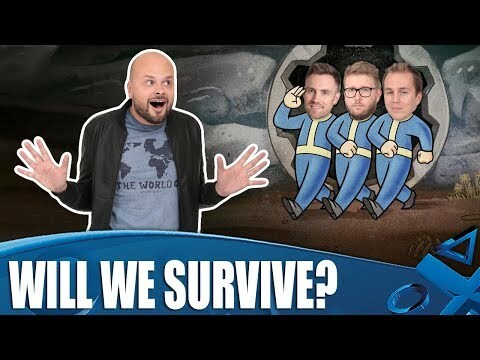 You mean Vault 43? That was twenty women, ten men, and one panther. ...due to the lack of men compared to women, some of the women might've tried laying with the panther? I bet if you cracked open that vault all you would find is 30 skeletons and one giant radioactive mutant super panther. The plan was obviously to eventually unleash pantherzilla upon an unsuspecting wasteland. Fallout 2 was the only game I ever warezed that both worked and didn't give my computer a virus. 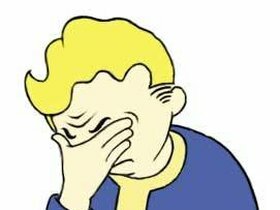 "BUT MUH NOT GONNA WATCH A BIDEO"
"Just ignore that Bethesda has accidentally doxxed all of their Power Armor Edition customers." Yes, this includes address, credit card, etc.